February 08, 2017 During the last four days, more than 85,000 visitors and 2,732 exhibitors from around the world turned Munich into a gathering for the international sports industry. The positive atmosphere in the industry was clearly noticeably in the full halls. During the last four days, more than 85,000 visitors and 2,732 exhibitors from around the world turned Munich into a gathering for the international sports industry. The positive atmosphere in the industry was clearly noticeably in the full halls. Besides the latest products, there was also key impetus for industry and trade. Klaus Dittrich, Chairman & CEO of Messe München: "Even in the digital age, the analog world is indispensible. That was clearly noticeable at ISPO MUNICH. This is where strategies are developed and partnerships formed in personal exchanges." In a nutshell, that clearly describes the symposium hosted by ISPO and adidas titled 'Digitalization as a growth impulse for industry and trade.' ISPO MUNICH networks the industry—from small specialty retailers to global market leaders. Dittrich continues: "We provide a platform for dealing with the challenges that will face the trade sector in the future. And not just during the four days of the fair. Thanks to digital services such as ISPO OPEN INNOVATION and ISPO.com, we do this 365 days a year." More than 85,000 trade visitors from 120 countries attended the fair in Munich. That is an increase of approximately six percent over last year (2016: 81,368). 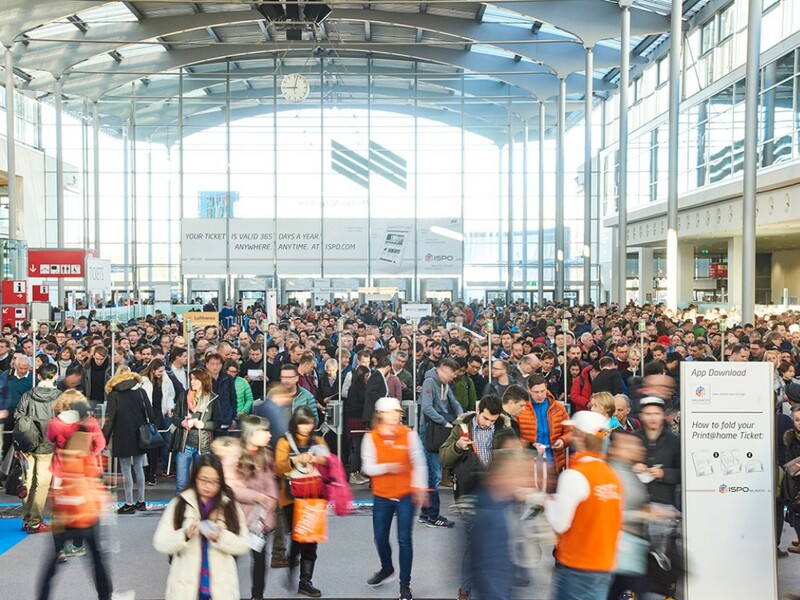 This year's ISPO MUNICH was also more international than ever. The largest increases came from Italy, Russia, Great Britain, China and the United States—in that order. According to Gelszus Market Research, making the trip to the fair was worthwhile: 97 percent of visitors gave the exhibition a rating of good to excellent. A total of 2,732 exhibitors—also a record—presented their products and innovations at the fair. That is an increase of three percent compared to 2016. A trend that has been noticeable in recent years is also continuing: "Electronics continues to make its way into the sporting goods sector more noticeably than ever," explains Messe München CEO Klaus Dittrich. 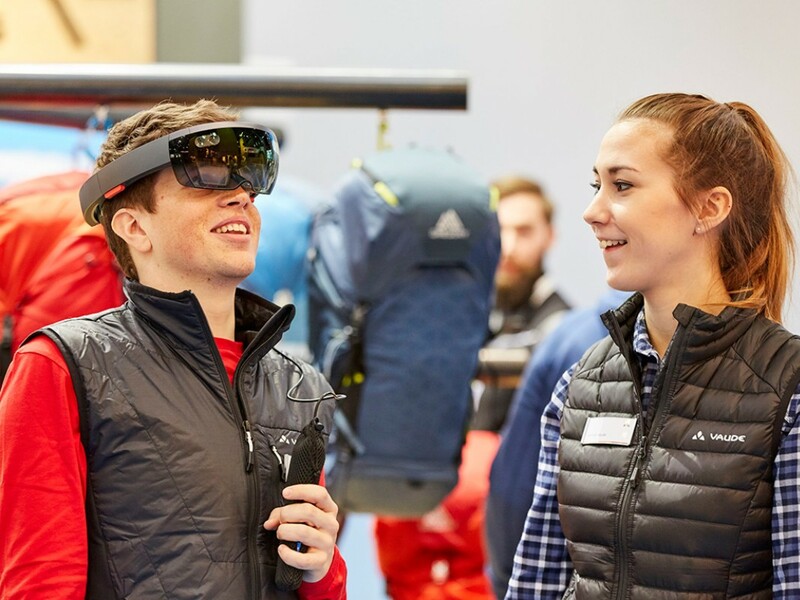 Products that were on display included ski poles equipped with sensor technology, virtual-reality headsets for a more emotional shopping experience and a digital ski trainer in an inlay sole. Women in sports—both as industry executives and as a target group—were an important central theme at this year's ISPO MUNICH. The focus here is not just on selecting the right colors, but on breaking away from conventional ways of thinking and doing a better job of taking women needs into account than in the past. For instance, the Women’s Lounge was a meeting place that allowed a large number of female industry representatives to make new contacts. Special tours to the stands of manufacturers such as VAUDE and Garmin and a lecture program geared toward women attracted female visitors in large numbers. The FC Bayern Munich Women's Football Team also appeared impressed during their tour of the exhibition. Photo materials from ISPO MUNICH 2017 are available in the media database. All reports from ISPO TV are available on our website and on our Vimeo channel. The next ISPO MUNICH takes place in Munich from January 28–31, 2018.